random bob, a.r.c. 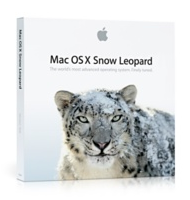 –: Snow Leopard Update Hitch: it's just not fair! It’s just not fair, I tell you. I went and spent the money – GOOD MONEY, I TELL YOU – to purchase the new upgraded Mac OS X Operating System, “Snow Leopard.” Wanted to install it on my machine, because I hear it’s supercharged and makes thousands of julian fries and if you order now they’ll throw in a SECOND SET ABSOLUTELY FREE just pay shipping & handling. Instead, what happens? It turns out that my optical drive has taken a sh!t. I can’t install the damned update onto my computer, so instead we installed it onto The Girl’s computer. Dammit that’s right, SHE’S got the new cat on her computer, whilst I rot away with the old smelly kitty on mine. I had suspected the drive might be bad a long while ago. I was trying to burn a DVD of some pics and movies for an old friend and my computer would not verify the disk, EVER, no matter how many attempts, kept saying the disc was bad. Apparently, EVERY SINGLE DISC IN THE PACK was faulty. Who would have guessed, right? Then when I went to install Snow Leopard, it spit the disk out in the middle of the install. Not once, twice. And a third & fourth attempt just resulted in the computer not even recognizing there was a disk even inserted. It was craziness. Now, I will have to send it in to be repaired and be without for a couple of days. Why? Because the only certified techs local are on vacation until the 28th. That’s 11 days from now. I cannot, repeat cannot stand by while the missus has a better standard configuration than I, for a week & a half. It’s just unconscionable.